Though it has now been about 2 years since we changed over to our new web host and site, it has really only been one full membership cycle, for many, that we have been using this system. We on the board enjoy the new host site and the perks it has to offer us and members. We are still learning some of the quirks though that come with those perks. As we continue to refine our use of the system and learn of all the benefits it has to offer, I wanted to take a moment to remind you of a couple of things that I have sorted through with memberships and then registrations for events. In relation to membership and signing into the site, your user id is going to be the email address you provided to us. If you have changed positions and were using a work email that is no longer valid or perhaps can't remember if you were using your home email or work email, please feel free to contact me for this information about your user id. It is far easier for me to tell you the correct email to use to access the website or for me to make the necessary changes to no loner functioning email addresses than for you to start all over because the system does not seem to recognize you. If you simply forgot your password, there is a forgot password button on the site. Remember though that this won't send you and email unless the address you are giving us is the one associated with your account. Again, questions about the email association are easy to address with a quick email to me. Onto registering for KASP events. Several different issues have come up that I would like to try to address and hopefully provide guidance regarding. 1.) We have had issues with individual having the system no "recognizing" their membership. Typically, the most common issue is that either an administrative assistant or fellow psych who may be doing several registrations is using the wrong email address to try to register. If you are having someone else complete your registration online, please be sure that they are using your email address associated with your account. It seems that when others have tried to register colleagues they presume that work email addresses are wanted and that may not be the address associated. 2.) The email address that is used for conference registrations needs to be that of the attendee so that updates, handout info, etc. may be sent to the correct person. Without the attendee's email address, they will miss out on key information potentially. 3.) Payment information/registration completion is not relayed correctly. If you are registering yourself and paying with credit card for you, this is where things get tricky or perhaps confused because as the registrant your email address is the one to which the "invoice" is sent. When you receive this please forward it on to the person who is paying and they should be able to access the link and make payment for you. If they have difficulties, you or they may send their email to me and I can forward the link directly if necessary. 4.) If your registration is being paid via PO and you have self-registered, please follow up on your end to assure that the person who is processing knows and initiates the process and gets a copy of the PO to me. Without PO information from the district, I am unable to process it and bill the district for the associated payment due. The "invoice" you receive after you register and have not made payment is different than what is sent to your district for payment of a PO and will be marked paid when I have received the final payment from your district. If you have received this "invoice", it means that you have indeed registered, but simply have not paid. I hope this helps to clarify some of the issues I have seen over the past year. If I have missed any other particular issues, please let me know. I appreciate feedback on how to make things easier for everyone in regards to memberships and event registrations, please do let me know if you have concerns. You or district staff may contact me at keely.persinger@gmail.com Keely Persinger your KASP Exectutive Manager. I set up eval folders at the beginning of the year ( it has my coops eval form, my medicaid form, parent rights, and the flow chart for the eval process)- In the middle of the year and I am in back to back problem-solving meetings and a kid gets referred I can grab a folder and it has everything I need except for the consent which is created as a team. I take the forms I need for my cooperative, but then the parent walks away with the folder which has the flowchart, parental rights, copy of consent and GEI paperwork. I have a copy of my parent questionnaire in a folder, as well as a brochure from my district with parent tips for IEP/staffing meetings. If needed, I would add any rating scales like the BASC before they go so it is all included in the folder. Once the evaluation is completed, cross off the name in the column. There is some satisfaction and sense of completion in marking things off! E.g., The team met, paperwork is completed and turned in. Cross off each day as you complete them; it actually saves time in the long run, so you don’t have to think about which day it is, the date, etc. when you are trying to schedule meetings or when asked questions about what your schedule is for the day—you’re able to glance quickly and provide a response. Title: "2020 Vision: Focus on What is Important"
Paige has held many positions in the National Association of School Psychologists leadership, including treasurer and secretary. She has chaired and co-chaired numerous committees, including awards, leadership development, ethics, professional development, and publications. She was a member of the PREPaRE School Crisis Prevention and Intervention Training Curriculum workgroup and the Strategic Planning committees. Paige is also a past president of the Kansas Association of School Psychologists. She was the NASP School Psychologist of the Year in 1996 and the Kansas School Psychologist of the Year in 1994. She has received three NASP Presidential Awards and was also recognized with the Fort Hays State University Alumni Achievement Award in 1996. 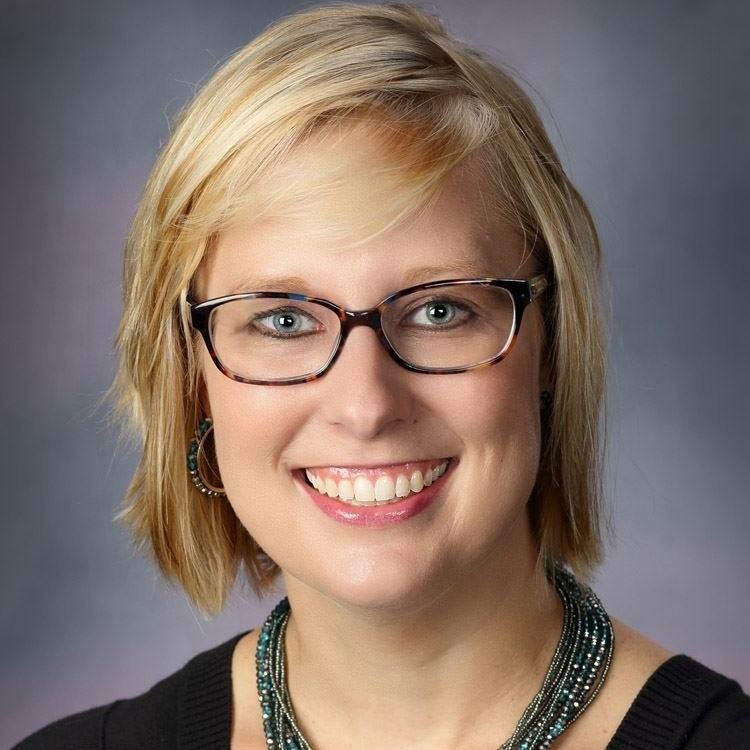 Paige spent 22 years as a practicing school psychologist in Kansas, was the interim program director of the school psychology program at Fort Hays State University in the mid 90’s and has taught as an adjunct instructor. She is currently the director of the Office of Scholarship and Sponsored Projects at FHSU. Paige is honored to speak at the Kansas Association of School Psychologists. The keynote will include NASP updates and resources. Leslie will also discuss the challenges resulting from the workforce shortage of school psychologists and how we can address this critical issue. how NASP is addressing member needs. Title: "Be Good to Yourself: Fostering Self-Care and Psychological Hardiness"
Daniel B. Jacobs, Ed.M., M.B.A., Psy.D. Daniel B. Jacobs, Ed.M., M.B.A., Psy.D., is an Assistant Professor at William James College (WJC) in Newton, MA in the School Psychology Department where he teaches a range of courses for MA/CAGS and MA/CAGS/PsyD students including: Lifespan Development, Addressing Substance Abuse in Schools, Collaborative Therapy with Multi-Stressed Families, Counseling and Psychotherapy in Schools, Clinical Interviewing with Children and Families, and Psychopathology of Childhood and Adolescence. He also serves as adjunct faculty in WJC’s Organizational Leadership Psychology Department. Dr. Jacobs is the former Director of the Adolescent and Adult Partial Hospital Programs at NSMC/Salem Hospital in Salem, MA and he works in private practice at Jacobs Psychological and Consulting Services (JPCS) in Lexington, MA helping youth, adults, and families with mental health and dual diagnosis concerns. He has developed and given over 200 continuing education presentations in the past 15 years around the country on issues of mental health, self-care, behavioral change, substance abuse, and intervention enhancement. Dr. Jacobs believes hope is always an option and believes adoption of a strength-based and proactive mindset is the most effective way to begin the journey of helping our students, our clients, and ourselves become empowered to make positive life changes. 1. Describe the importance of promoting psychological wellness to enhance both self-efficacy and professional effectiveness. 2. Identify three specific self-care strategies targeted at graduate students and early-career clinicians. 3. Explain new areas of limit-setting and balance of personal and professional demands to be used to enhance job effectiveness. 4. Acquire practical application for fostering psychological hardiness in one’s own school. 5. Understand the connection between self-care, burnout, and retention issues for school psychologists and administrators, in the context of larger local and national staffing shortage concerns.